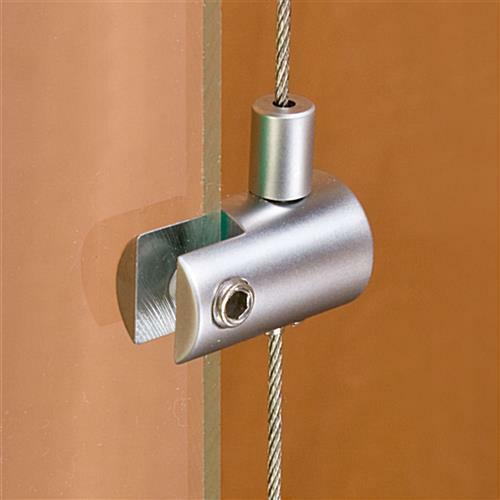 Mechanism that clamps onto fixtures can support sign pockets and holders easily. 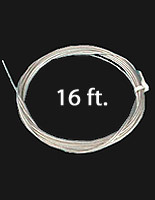 Cable clip quickly hooks to wire using secure ball bearing. Finish of satin silver with a basic design adds class to any setting. These sign holders, cable panel clamps are will save businesses space while hanging promotional signs and front of the store displays. 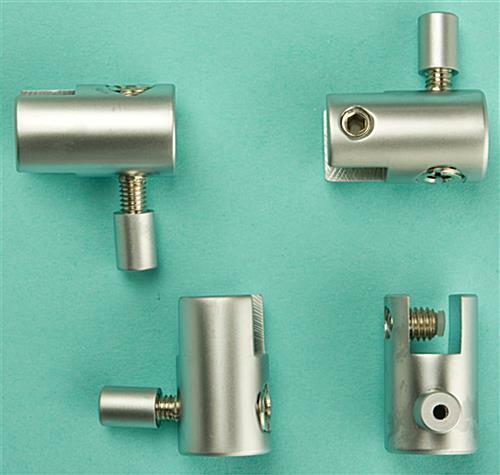 These soft silver finished signage clips are horizontal supports for wire suspension kits. 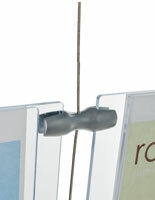 The cable panel clamps are made to tightly and safely hold signs together in one place. 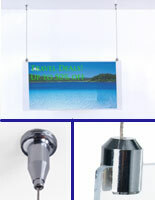 These sign fixtures offer many choices for exhibiting graphics. 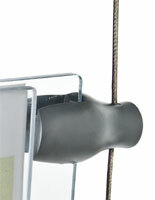 The cable panel clamps are able to secure poster displays, magazine holders, and pamphlet pockets. These frame clips help to promote new items, sales, or specials in the front window of the establishment in order to bring in passersby. 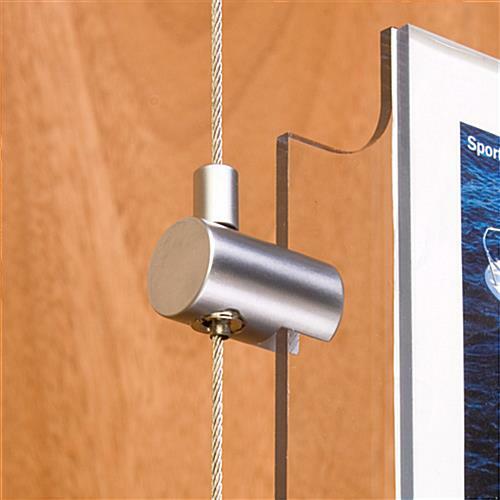 The cable panel clamps are easier and more fashionable to use than hard to set up floor standing units or poster holders. Substitute those monstrous displays with wire suspension kits that use these clips. These cable panel clamps are fixed to panels with locking ball bearings, which don't need notches or holes made into the plastic sheets! The wire mounting system is put together with set screws and an Allen wrench. 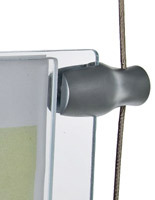 These cable panel clamps, also known as a sign supports, are able to secure materials that are up to 5/16" thick. 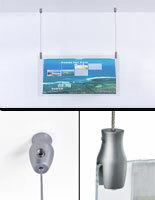 Design your ideal display with the help of these silver clamps and mounting systems! 1.0" x 0.625" x 1.0"